Don’t forget those bathroom items when you recycle. 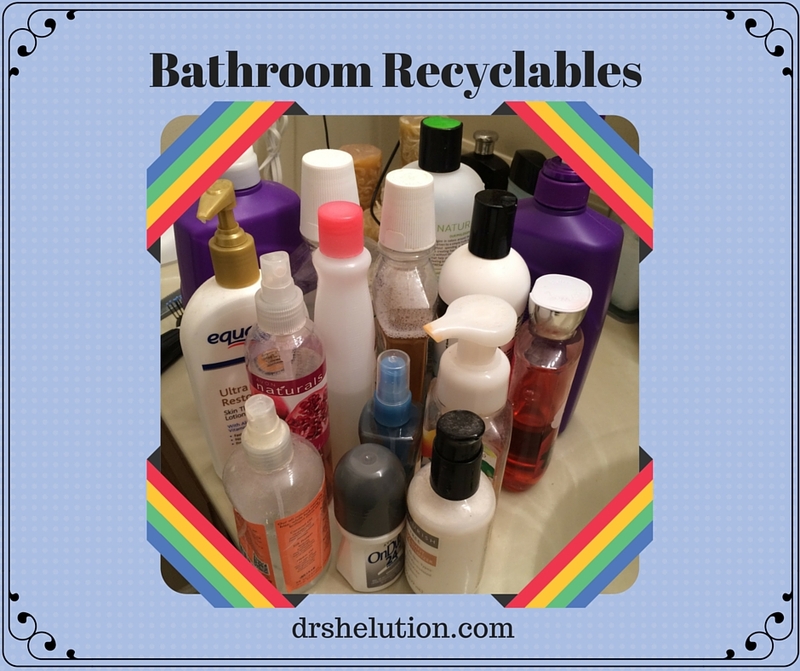 I was surprised with the number of recyclables I found on my bathroom counter top. 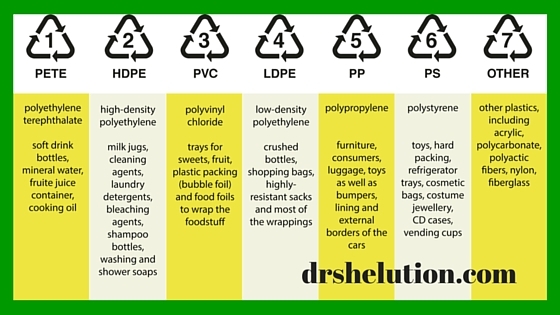 I also did not know that there are different types of recyclables and the recycle stamp is normally on the bottom of the item. 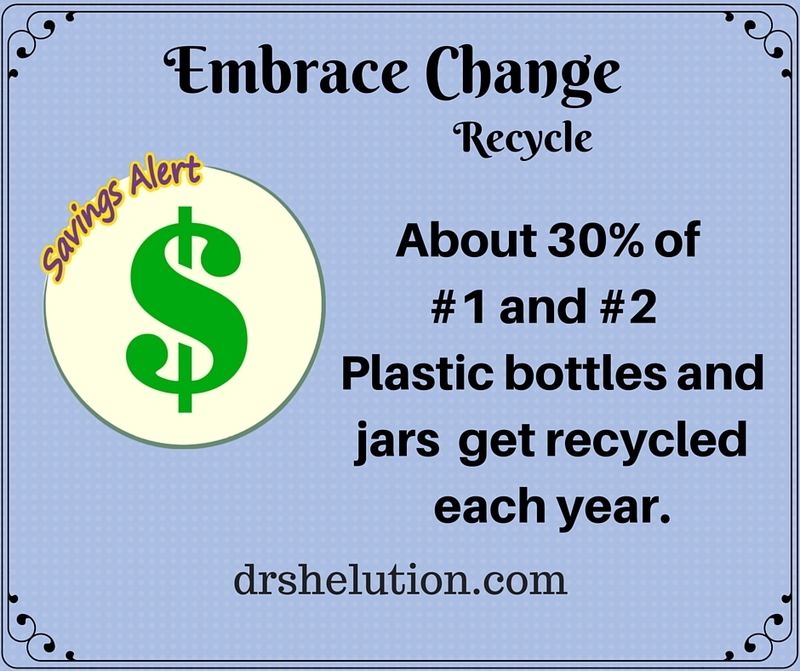 Did you know that only about 30% of #1 Polyethylene Terephthalate (PETE) and #2 High-Desity Polyethylene (HEDE) plastic bottles and jars get recycled each year. 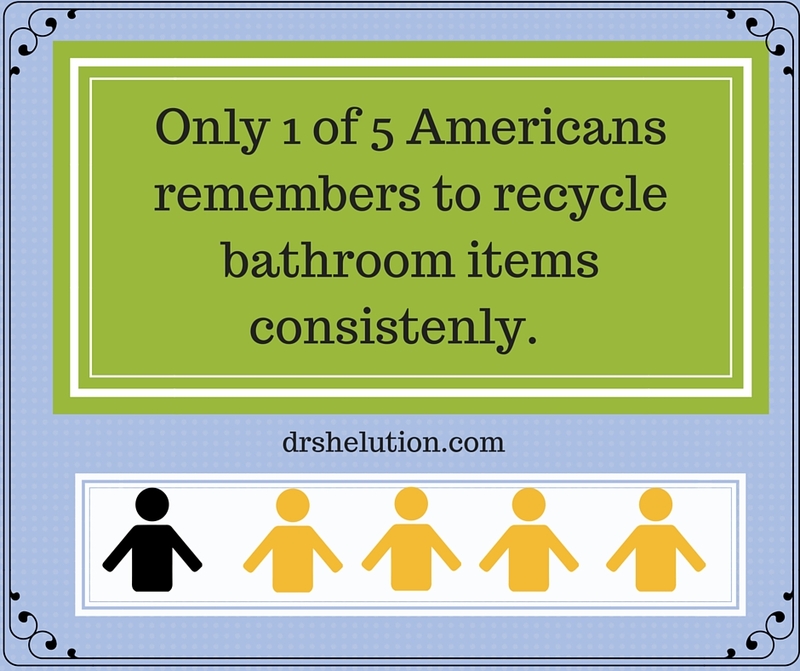 That number can increase dramatically if Americans consistently recycle their bathroom items. 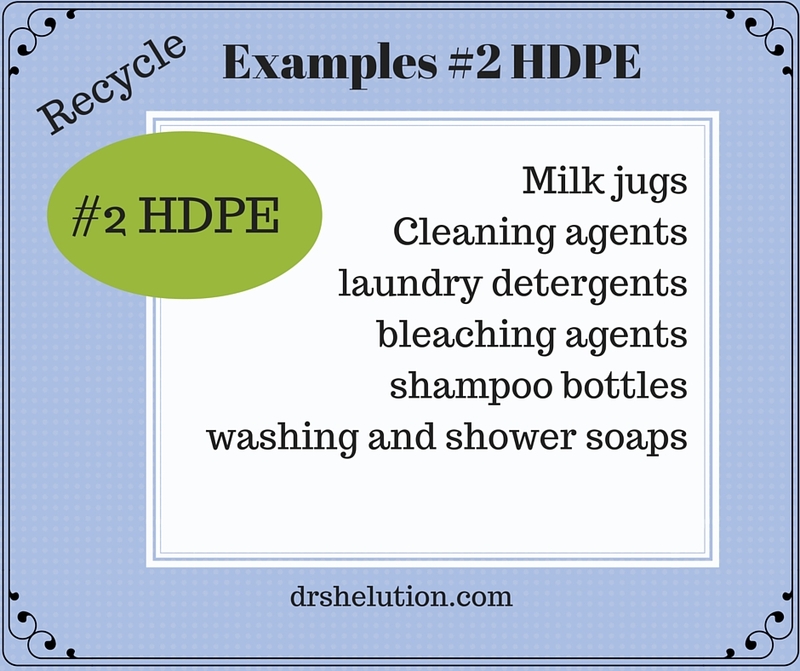 Examples of HEDE are milk jugs, clean agents, laundry detergents, bleach agents, shampoo bottles, washing and shower soaps. 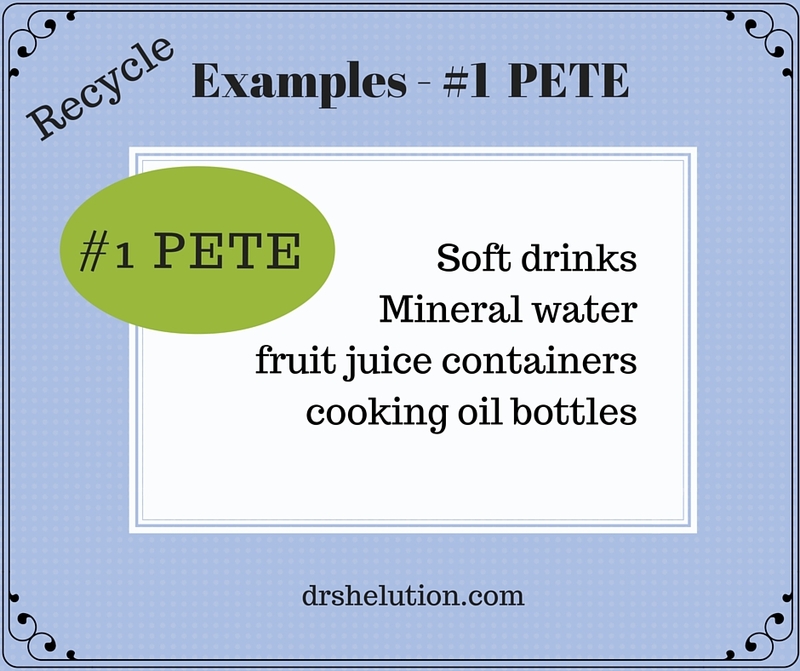 With the exception of the milk a lot of these items can be found in your bathroom or laundry room. 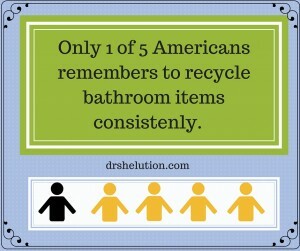 Recycling kitchens items seem to come easier for us to remember than bathroom items. 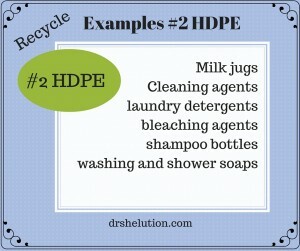 Our challenge is to increase our #2 HDPE items above the 30% average per year. 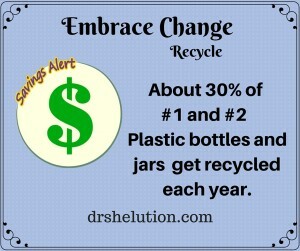 Since these items take a longer time to consume, give yourself a memory jogger by putting a “X” with a permanent marker on all items that are recyclable. 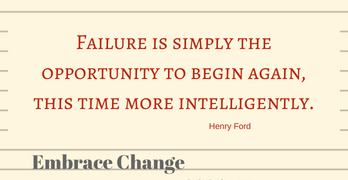 My husband checks each trash container before taking out the trash to ensure everything gets sorted correctly. Examples of #1 PETE are soft drinks, mineral water, fruit juice containers and cooking oil bottles. 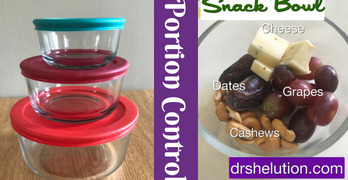 You can find these items in your kitchens.